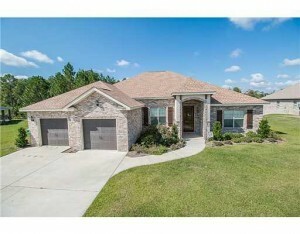 Nestled outside the city limits of Gulfport, Mississippi, is Audubon Lake Subdivision. Conveniently located with access to Canal Road, Highway 49, and Highway 53 it makes commuting into Gulfport extremely easy. Because of its proximity to nature and an easy commute, Audubon Lake is a perfect opportunity to invest in Gulfport real estate. Whether one is a resident there or an investor, Audubon Lake presents an opportunity to begin the dream of living in a peaceful and beautiful setting, abundant with birds and wildlife. Homes offer many amenities as well as convenience to the fun and excitement of Gulfport and the Southern Mississippi lifestyle. *Children that reside in Audubon Lake attend school in the Harrison County School District – Bel Aire Elementary, Lyman Elementary School, Harrison Central Elementary, Orange Grove Elementary School and Harrison Central High School as well as private schools, such as Temple Christian Academy or Christian Collegiate Academy in the area. They do very well in getting the information needed for you so you can decide on the property being reviewed. Very professional and quick to respond. They keep you informed on all steps during the process of the purchase. I have worked with Amanda and her team on several transactions, both as a buyer and a seller. They are very proactive, accessible, and responsive. The team knows the market very well, and lays out a well thought out and deliberate strategy to close a deal in a timely manner. First off, let me say the pleasure was all ours. We appreciate the time McKinsey & her team took with us. She stayed on top of the situation and made things happen. It was our first time to use a Realtor and it was a pleasure with us. She answered questions immediately or found the answer for us in timely manner. We never felt pressured or uncomfortable. It was great doing business with her and the team and look forward to future business. Amanda and Associates helped me every step of the way through the difficult situation of selling my home. We had a difficult time in dealing with the lender and Amanda’s team made it much easier. Coastal Realty Group is Mississippi Gulf Coast's most innovative real estate team.